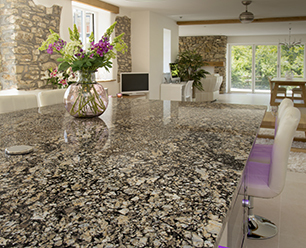 What do I need to prepare before my kitchen is ready for the installation of granite worktops? You must ensure that your kitchen units are correctly and firmly fixed in place in accordance with the manufacturers instructions, with all sink units, taps, hob units etc. on site. 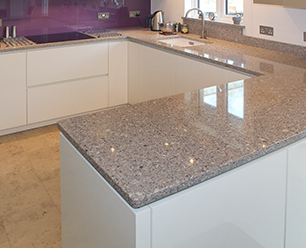 Any temporary or existing work surfaces must be removed and the units checked for level. Any existing tile splashbacks may need to be removed prior to installation of the new worktop. If your sink is an undermount type you may need to provide a suitable plywood sub-top to the cupboard, in to which the sink will fit. We can discuss this with you. « Do you seal/treat the surfaces?